Here at Sign Making and Supplies we stock a vast range of Self Adhesive Sign Making Vinyl. From well known leading brands that includes JAC,Avery Dennison, Ritrama, Oracal, Metamark and much more. Ranging from 3 year to 10 years outdoor life, and available in Matt, Gloss and Silk. 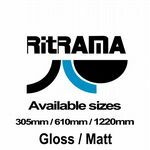 The self adhesive vinyl we stock are suitable for a range of different applications such as Sign Making, Graphics, Decals, Vehicle Lettering, Window Lettering and for outdoor advertising. 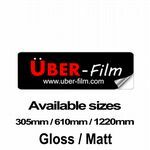 These self adhesive vinyl's can also be used for wall art and custom stickers.